Some of the tribes were conquered and became assimilated by the Spanish culture. Some fled northward into the land that would later become the United States. And others retreated deep into the Sierra Madre where the Spanish armies could not reach. These are the tribal groups we see today - the indigenous Tarahumara, Tepehuan, Pima and Guarajillo peoples who inhabit the ridges and valleys of the largest canyon system in the Western Hemisphere, often spoken of collectively as "the Copper Canyon." Sadly, high infant and maternal mortality rates plague the people of the Sierra Madre along with inadequate health care, contaminated water and a poor diet. They are subsistence farmers who are also burdened with the heartbreak of frequent droughts and crop failures. We are compelled to help the tribal groups in the Sierra Madre. They suffer greatly from ignorance and superstition. Worshipping idols and spirits, they live in fear of the "One God” of whom their traditions speak. 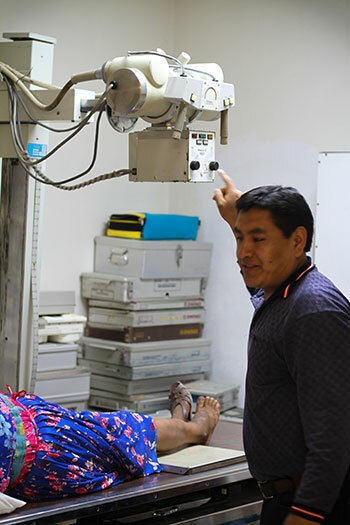 Mexico Medical Missions seeks to introduce these precious people to the “One God” that died for them so that they might enter into a loving relationship with Him. We seek to alleviate the physical and spiritual suffering of these people. We provide healthcare and community development, all in the name of Jesus Christ.